Join Hybrid Team Member Bobbi Start as she shows you how to combined digital scrapbooking kits with traditional supplies to create a one of a kind hybrid cookbook! I’m finally putting together a family cookbook. I’ve put it off for years – always thinking there was plenty of time. Then my mother passed suddenly and most of her recipes were in her head and my grandmother is 99 and her memory is failing…no more putting this off! Gram’s stuffing has been a highlight of our holiday dinners since I can remember and she was the only one who knew how to make it. She has passed the torch to me and her directions include: “now add the seasoning until it looks right.” Ohhh-kay… lol! 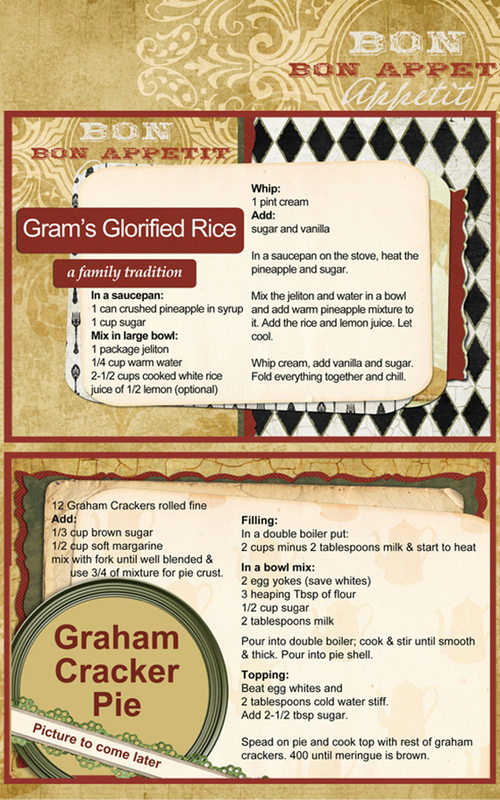 But it has made me realize just how much my family retains recipes in their heads and how we need to record, even the simplest ones, so future generations can enjoy them. For this project I’ll repurpose a binder that I already have in my stash of supplies – it’s a 5-1/2 x 8-1/2 inch, 3-ring binder by We R Memory Keepers. 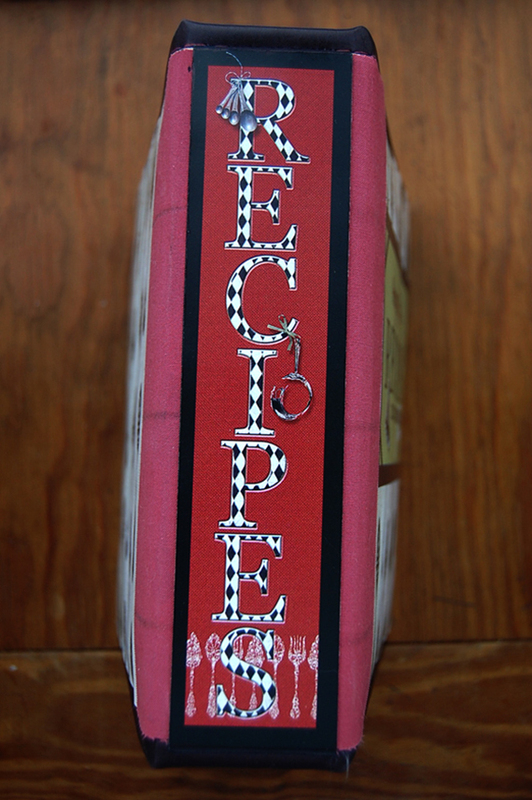 I love the fact that page protectors are available for this binder so I can keep my recipes clean. Your inside (or recipe) pages will be determined by the size of your binder. You’ll want to make sure your tabbed dividers do not stick outside of the binder when it is closed and your recipe pages do not stick outside your tabbed pages. A trial run with some scrap stock might save you some frustrations in the end. Step 2 – Once I determine the size or the paper I will need for the cover, I set up a new digital scrapbooking file in PS and fill it will the background paper of my choice.I’ll use shapes filled with color, texture, and a font that I had to make a title block for my front cover. I’ve also decided to use Brandy’s embellishment Homemade Goodness. Step 3 –The embellishment was not the colors that I wanted so I opened the png file with PS and saved it with a different name so I wouldn’t damage the original file. 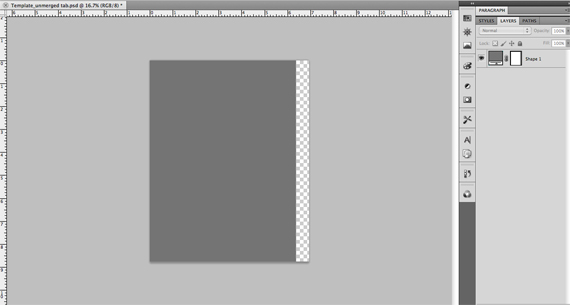 I added a layer filled with my background color and moved this color layer to the bottom of my layers box. This enabled me get an idea of how it would look with different colors of wording. 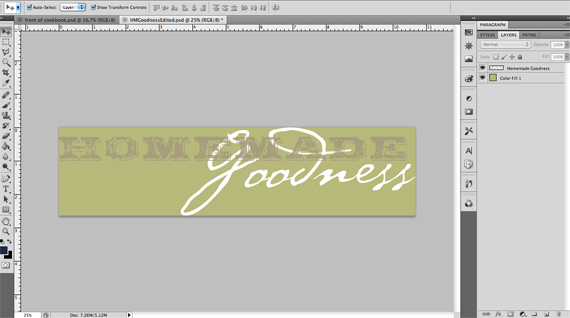 I want to keep “Goodness” white but I want to sample a variety of color for the word “Homemade.” I could grab my paint bucket tool and drop the color in, but it takes me too long to make sure I get all the small pieces of brown, so this is what I did instead: made “Homemade Goodness” layer active, grabbed my magic wand tool, uncheck the “continuous” box & set the tolerance so that it will pick up all the brown color. ***You may have to go back and forth with the tolerance level to get it all. I set mine at 35 and it worked fine. With the brown enclosed in marching ants I went to Layer>New>Layer via Cut and this highlighted part is put onto its own layer that I renamed Homemade. To make the Homemade layer active, go to >New Fill Layer >Solid Color>(checked the “Use Previous Layer to Create Clipping Mask”)>OK. I have what is pictured below. Now I can sample a variety of colors by just double clicking on the clipping mask box and choosing a new color to fill it. After trying a few different colors I chose Navy Blue and left it as Normal style. Now I have a navy blue Homemade with white Goodness. 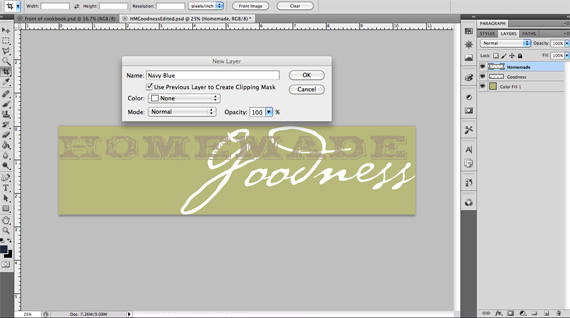 I saved my file as HomemadeGoodness_edited so if I change my mind about the color choices I can easily change them by going back to this file and not having to start over. 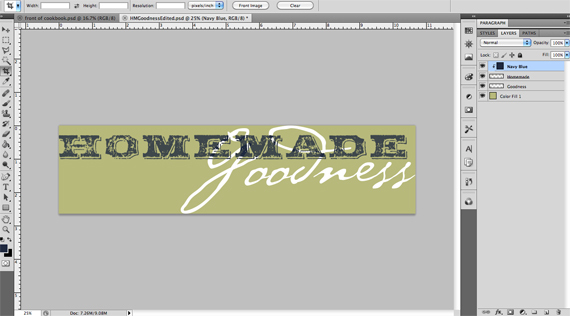 Drag it over to the file with the cover paper I’m using for the front of my cookbook. I printed the front cover on white paper to see what I had. I liked the look but wanted to give it more dimension so I printed out just the title block by itself on white card stock and attached it to the cover with some pop dots. I hide all the layers except the background paper on my cover file and print it out. Then I used a piece of sand paper to scratch up the surfaces of the notebook and adhere the front and back covers using Xyron’s permanent adhesive. Book tape might add some interest to my covers. My book tape is only 1-1/2” inches wide so it isn’t wide enough to cover the whole spine area. No problem… this is where we get creative in order to solve a dilemma! Run the right edge of the binder tape just to the left of the pencil line, wrapping the left edge of the tape over onto the spine. Repeat with the back cover but line the tape up to the right of the pencil line. The two edges of tape do not meet on the spine but cutting a strip of dark card stock slightly longer and wider than the gap will easily solve this. I printed out a second layer with the words “Recipes” on card stock, trimmed it slightly smaller than the darker strip and adhered both to the spine. The outside of my album is complete and it’s time to work on the inside. I open a new window in my digital scrapbooking software that measures 6-3/4’ x 8-3/4” and save it as Template_unmerged tab. You’ll see why further down. I want 5 tabs running down the right side so I divide the 8-3/4” height by 5 to get the total height of each tab. The tabs are going to be on the right edge of my new file and they are going to be ½” in width; that means my main divider without the tab will be 6-1/4” (original 8-3/4 less the ½”). I make a rectangular box 6-1/4 wide by 8-3/4 high; fill it with gray and position it to the top left of my window. Because I have predetermined the size of my tab I can drag rulers onto my window to show where each tab starts and stops. I choose the tab embellishment I want and drag it into my working window where it becomes a new layer that I rename Tab 1. 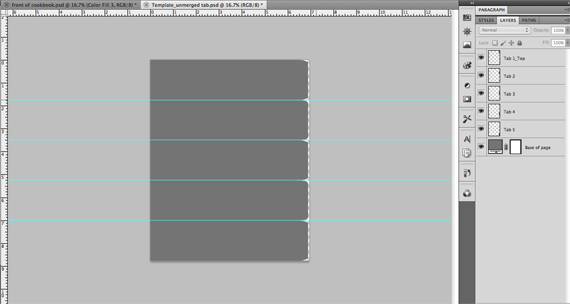 I resize my tab embellishment to the height I need and position it at the top right of my gray box. I copy the layer Tab 1, name it Tab 2 and drag that tag down so it sits below Tab 1. 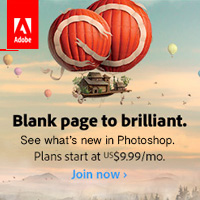 Go to layers window and hide layers for Tab 2, 3, 4 & 5 by clicking on the eye. Save that merged file as Tab1_Divider. 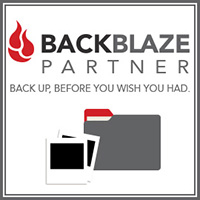 Edit>Step Backwards to revert the file back to unmerged. Merge visible layers and save as Tab2_Divider. Continue doing the same for the other tabs until all 5 tabbed pages are save individually. Keep the master Template_unmerged tab with all 6 layers intact so if you want go and change out the shape of the tab or make it wider etc. it can easily be done without starting from scratch. I hate to redo something I’ve already done so I tend to save all these different files. 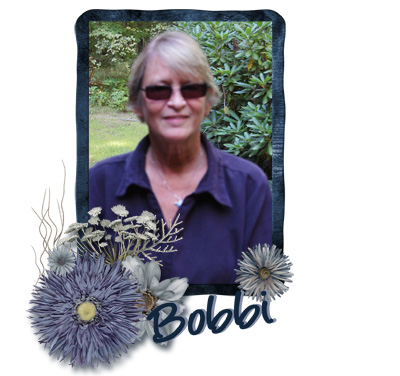 Open each individual divider file and digitally scrapbook your designs. Once you like what you’ve got print it out onto white card stock and Save your file. I wanted to back the dividers sheets with the same background paper I used on front but the file needs to be flipped horizontally so the tab is in the right position. 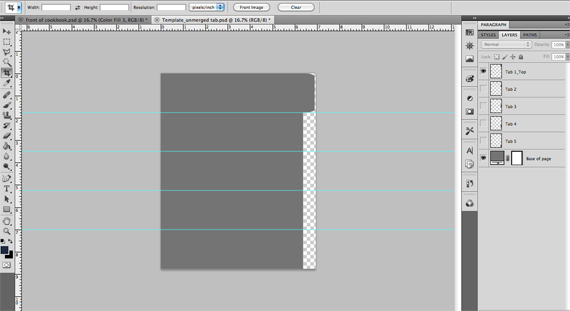 With my “Soup” Divider file open I go to: Image>Image Rotation>Flip Canvas Horizontally. Now I can hide all the layers except the one with the background paper on it and print it out. NOTE: I close the Soup Divider file without saving it to keep it intact. Now I can glued the two sheets together and trimmed them down. 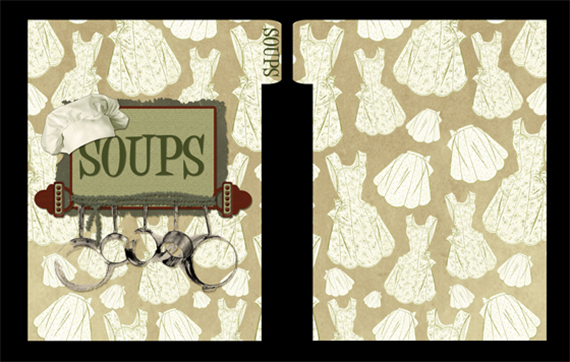 Below is a sample of the front and back of one of my Soup dividers. Note: I got the hanging pans for this page by extracting them out of Brandy’s BonAppetit_Paper_Pots. I changed the color of the aprons from Brandy’s ShabbyBakery_Paper_Aprons by extracting them from the background and adding a color layer of green. 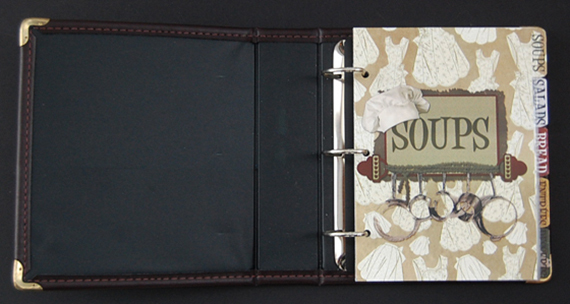 Below is a sample of all my divider pages I’ve completed and how they look in my album. 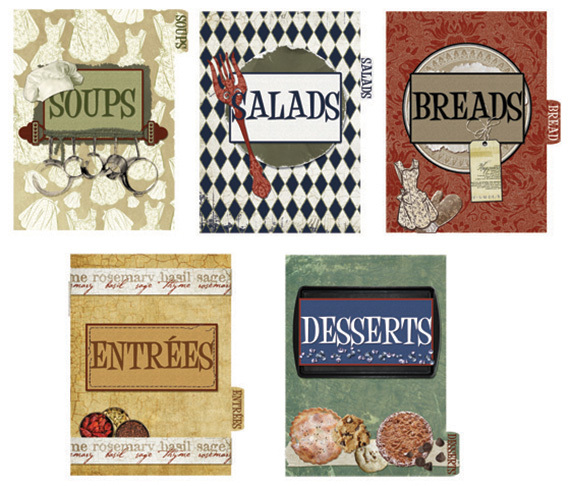 I’m using Brandy’s 4×6 Bon Appetite Album for my recipe cards because these will save me a lot of time. I love these templates because you can rearrange the elements on them to vary them up. Here’s a sample of one of my pages. I’m putting two recipes on a sheet with a background paper; once printed I trimmed the sheet down to size and can now slide it into a page protector. 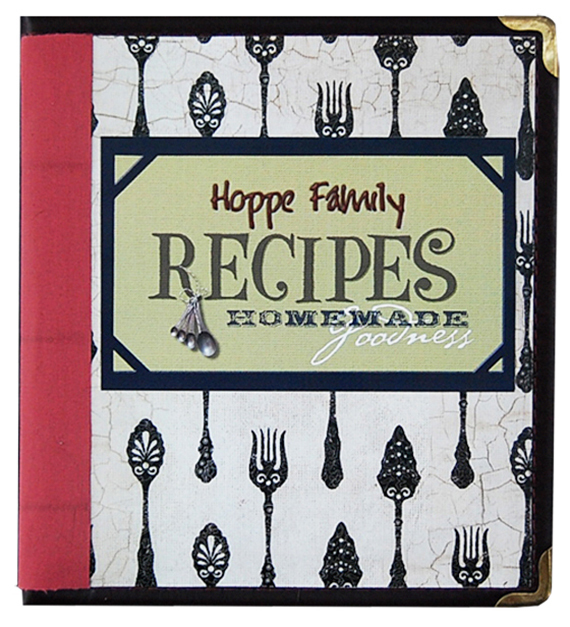 Each page of recipes will be done using different elements and colors. 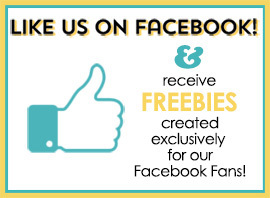 This project will be an ongoing process for me but because I’ve got all my digital scrapbooking templates I can easily add a couple of new recipes when I have few minutes. I would have stuck to my initial plan to wrap the cover papers over to the inside of the binder. That would eliminate the frayed edges of the binder tape (because I would have wrapped that around also) and it would eliminate the chance of the paper edges coming loose with use over time. I may modge podge the cover to see if that helps rather than do it all over. The other thing that bothers me some is the darker horizontal lines in the binding tape. They come from the way the tape was wrapped around a piece of cardstock by the manufacturer – I would look for different packaging in the future…maybe one where the tape is rolled instead of wrapped. But, all in all, I’m happy with my book and will enjoy using it. I hope you enjoyed this tutorial and it inspires you to make your own unique cookbook. We would love to see your versions and hear how you may have done things differently, so please upload your work to Scrap Girls Hybrid Gallery so we can all learn and enjoy!